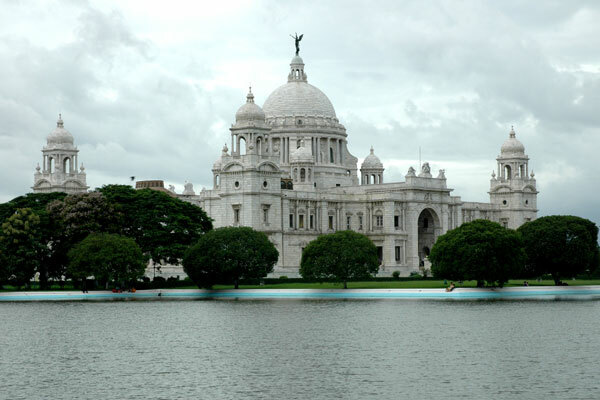 Kolkata, fondly known as the ‘City of Joy’ and ‘City of Palaces is the third most populous city in India. It is regarded as the cultural and intellectual capital of India. The place is renowned for its contribution in the fields of music, dance, literary work and education. The nickname ‘City of Palaces’ comes from the numerous mansions built all over the city, and the nickname ‘City of Joy’ comes from the friendly and lovely behavior of the citizens. Kolkata was once the capital of the British India. The British influence can be seen in its monuments and architecture. Most of the buildings you see here are inspired by the Baroque, Neo-Classical, Oriental and Islamic school of designs. Kolkata is often associated with poverty and is overlooked by tourists when visiting India. However, it has many marvels to offer to its tourists. 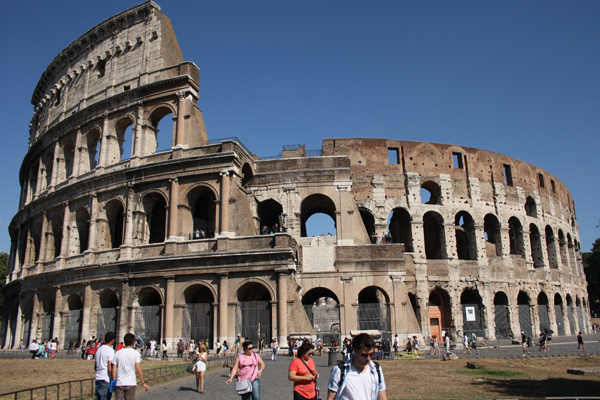 The place requires immersion rather than quick sightseeing. Here are 10 most compelling places that you must visit in Kolkata. Do you want to have a close rendezvous with dinosaur, fossil skeletons, and Egyptian mummies? Then you must head to the Indian Museum in Kolkata. 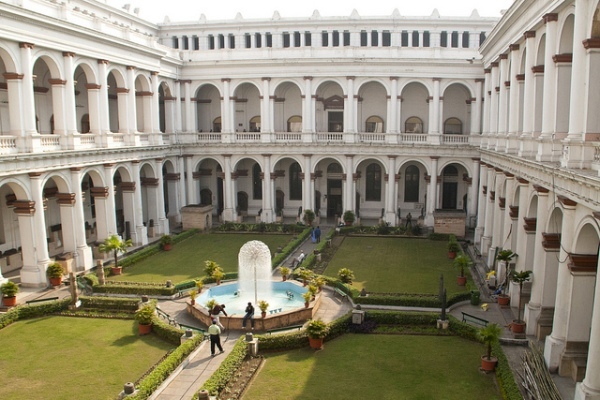 The Indian Museum, founded by the Asiatic Society of Bengal, is the oldest and largest museum in the entire Asia Pacific region. The museum was designed by an Italian architecture Walter B Grawille. The formation of the Indian museum pioneered the idea of preserving natural and man-made objects of national importance. The museum exhibits a wide collection of mummies, antiques, Mughal painting, skeletons, ornaments, armors and fossils. The Indian Museum is also called ‘Jadu Ghar’ by the locals because of its remarkable collection. If you are on a lookout for a peaceful and quiet place to spend some quality time with your loved one, then Princep Ghat will be an ideal location for you. You will not be able to express the beauty of this place in words. Princep Ghat was built on the banks of the Hoogly River during the British Raj. It was built in the memory of James Princep, a learned man who helped to decipher Emperor Akbar’s Brahmanical Script. The monument is built in Greek and Gothic style of architecture. 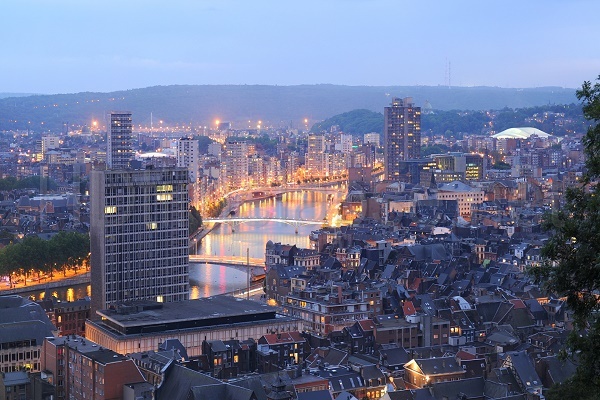 The 2 kilometers long, riverfront beautified with illuminated gardens will give exceptional photographic views. The best time to visit the Princep Ghat is sunrise and sunset. Park Street is the hippest and happening place of Kolkata. 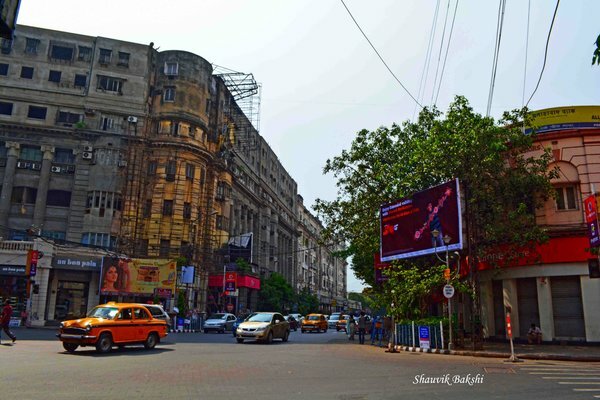 It is the favorite street of the locals to hang out and has been the center of Kolkata’s nightlife since ages. It was home to India’s first nightclub and was one of the top nightlife spots during the 80s. Park Street is the place where you will find the most popular discos, pubs, restaurants, bookstores, and cafes. It is also renowned for its old colonial mansions and other popular historical landmarks like the Southern Cemetery. When on Park Street, you can head to the Moulin Rouge, Blue Fox, Mocambo and Trinca’s to get a strong rush of nostalgia. Kolkata is as famous for its religious places as it is for its historical sites. 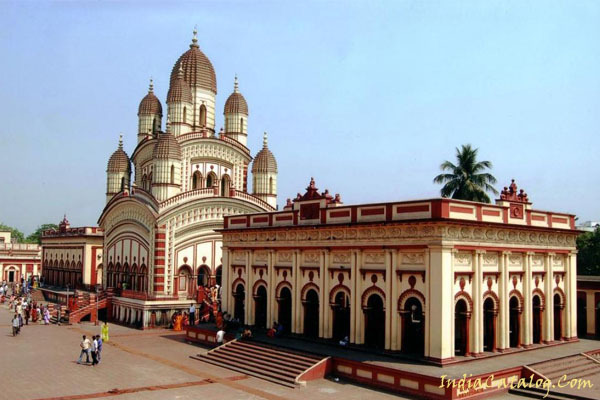 Dakshineshwar Temple is a religious site for devotees of Kali, Radha, Krishna and Shiva. It is a complex with 12 temples. The temple, dedicated to Goddess Kali was established by Rani Rasmoni in 1847.The presiding deity of Goddess Kali is encircled by 12 other temples dedicated to Lord Shiva. The main temple is known as the Navratna temple. It rises over 100 feet high. Dakshineshwar is also famous for Shri Ramakrishna, a renowned spiritual personality. The room that he used to reside in is now turned into a museum. You can visit this majestic temple at any time of the year. 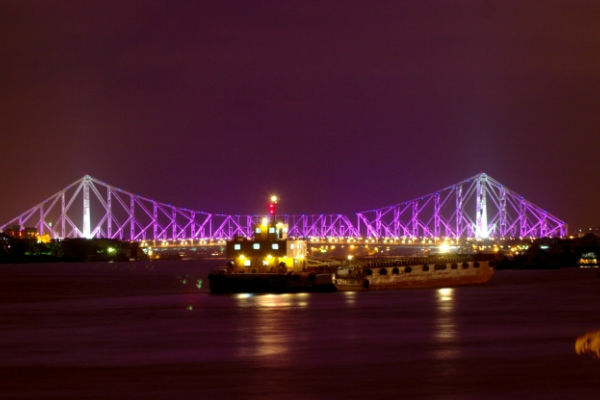 Howrah Bridge, also known as Rabindra Setu, is the most notable tourist spot of Kolkata. In fact, it is the landmark and the vital identity of this city. The bridge, spanning over river Hoogly, is the marvelous work of the British. The construction of this bridge took about 7 years. The bridge is 705 meters long and 97 feet wide. It is built using 26,500 tons of high- tensile steel. Each of its piers is about 90 meters above the road. It is also one of the busiest cantilever bridge in the world, catering to over 10,00,000 vehicles every day. 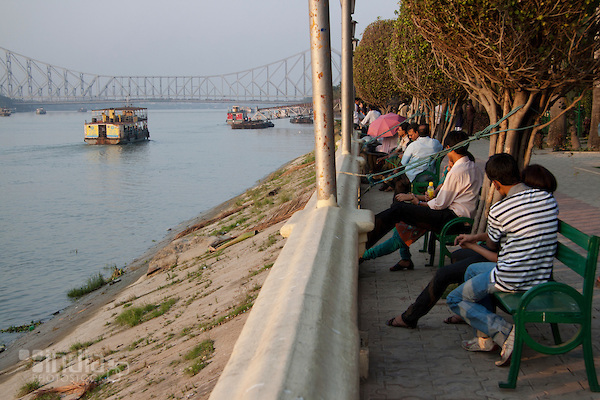 The ferries running below the Howrah Station are a convenient way to get a good view of the bridge across the river. You can never miss the Victoria Memorial when in Kolkata. This fabulous museum was built in 1921 by Sir William Emerson, President of the British Institute of Architects. It was built in the memory of Queen Victoria after her death. It was constructed using funds of about 10 million rupees that was contributed by the Indian Princely States. The museum will take you into the world of history. It exhibits photos and effigies of prominent personalities who contributed to the glory of India. It also houses mind-blowing figures, artifacts and lithographs that epitomize prudence and learning. 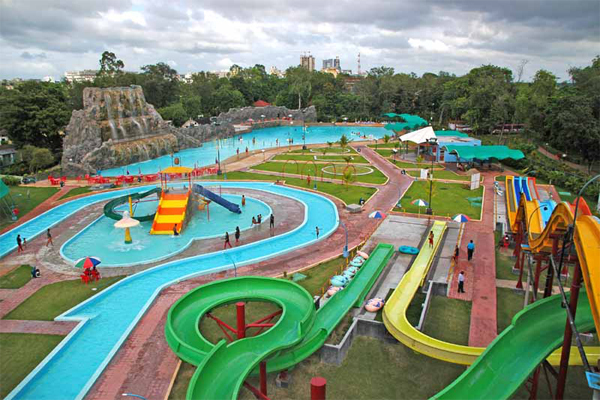 Nicco Park is one of the most popular amusement parks in East India. It is just like the Disneyland of the East Bengal with a whole lot of rides. It is spread over an area of around 40 acres. Nicco Park holds the honor of being the first amusement park to be certified by SA 8000 (Social Accountability) certification. It has earned accolades as one of the best amusement parks in India. It boasts of 33 rides, including the Water Chute, Twist and Turn, Cyclone, Flying Saucer and many more. The River Cave Ride was declared as the most popular and innovative ride by the Indian Association of Amusement Parks & Industries. Nicco Park also arranges for weddings, corporate meeting and other social events in its periphery. Couples at the Millennium park located on the banks of river Ganges (Hooghly) in Kolkata (Calcutta), West Bengal, India. Swabhumi is undoubtedly the finest heritage parks in Eastern India. The charm and elegance of the Indian culture are embodied in its infrastructure. The place was just a dumping ground, but is now one of the most frequented parks in Kolkata. Within Swabhumi, you will find a small village set up that will give you a rustic feel. Swabhumi also has shops that display ethnic arts, crafts, and other designer wears. If you feel hungry while strolling, then you can halt at the Food Park Santushti to refuel yourself. You can visit Swabhumi by hiring a taxi from any part of the city. You can also catch up the latest movie at the theater called 89 cinemas. 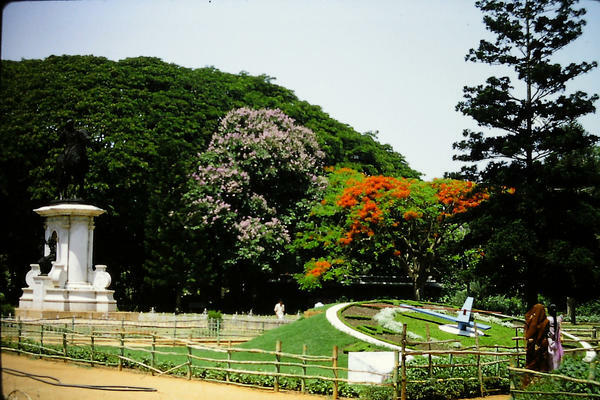 The Botanical Garden is the largest garden in Kolkata. 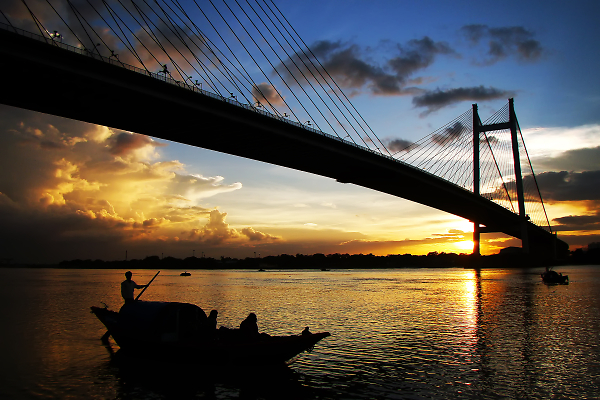 It is situated beside the Hooghly river. The garden spreads over an area of 10 hectares and houses a wide variety of trees and plants that are on the verge of extinction. There are around 12,000 living plants and 2.5 million dried plant specimens collected from different parts of the world like Brazil, Penang, Sicily, Nepal, etc. The park is open every day from 10 am in the morning to 6 p.m. The most popular tourist attraction of the Botanical Garden is the 250-year-old tree- the Ficus Bengalhensis. The tree is around 98 feet height with a circumference of 1300 feet. 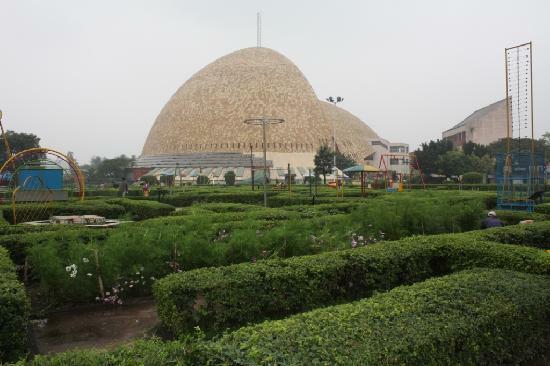 Science City is one of a kind museum of India. It displays scientific applications and technology. Science City is the brainchild of the National Council of Science Museums. It is not a mere amusement park. You can gain lots of knowledge in science and technology from the place. People of all age groups will have a gala time at the Science City. The star attraction of Science City is the Space Theater. This circular hall with a dome shaped ceiling looks like an inverted bowl from inside. You can take your child for any of the rides in the amusement park. Do you have any suggestions or tips to share with us? Then please do in the comment section.